"Luxury or Lie Wins Big in Las Vegas"
The following post was written by Adam Harris who I mentioned in my Independence Day post, Watches' Luxury or Lie: Pawnbrokers Learn to Identify. It expose and amplifies the semantic difference between terms that respected, legitimate luxury watch manufacturers use to characterize their products, i.e. 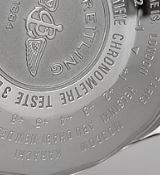 "genuine" (the real thing) from the distorted use of the term, "replica" that the counterfeit trade has co-opted and likes to apply to represent its timepieces. Mr. Harris was kind enough to give me permission to share it. For an in-depth interview with Adam Harris and his journey from wristwatch collector and enthusiast to consultant horologist and educator, see Keith Lehman's piece in NAWCC Watchnews, "Luxury or Lie: and interview with Instructor Adam Harris." Then why are “counterfeit” watches called “replicas” by the sellers of these “counterfeits”? Genuine “luxury” brands are the epitome of Haute Horology – that is watchmaking at its highest level. Some cynics may understand it to refer more specifically to high dollar watchmaking rather than high quality watchmaking, but make no mistake. Designing, developing and manufacturing a new movement is the highest level of “Haute Horology”. Remembering it took Horologists 107 years just to turn a simple chronograph in a self-winding chronograph timepiece! It takes literally years for the likes of Rolex to develop the likes of its new “Parachrom™” balance spring, or its new “Paraflex™” shock protection, even adding a blue “Cerachrom” bezel to their new model GMT took years of research and testing! You see Cerachom (Rolex's own version of ceramic) was introduced on the GMT first in 2005. And for years, we were told that making a two-tone ceramic anything was impossible. 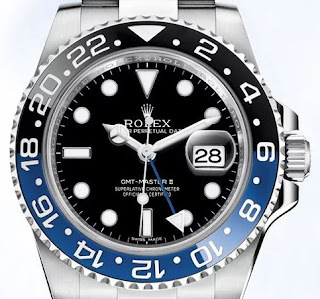 But this year, Rolex has gone and built a mono-block cerachrom bezel by a patented process that actually has the bezel start off as completely blue, and while still porous, add the black coloring. So, this isn't two pieces of ceramic next to each other, it's a singular piece, and Rolex is the only brand in the world to produce something like this. It's so difficult to do that it's actually patented. There is no way, in their wildest dreams could the counterfeiters develop or to be exact “replicate” these ultra-advanced developments. Nor can they “replicate” the likes of “silicon” balance wheels used by the luxury manufacturer OMEGA in their in-house 8500 range of calibers. 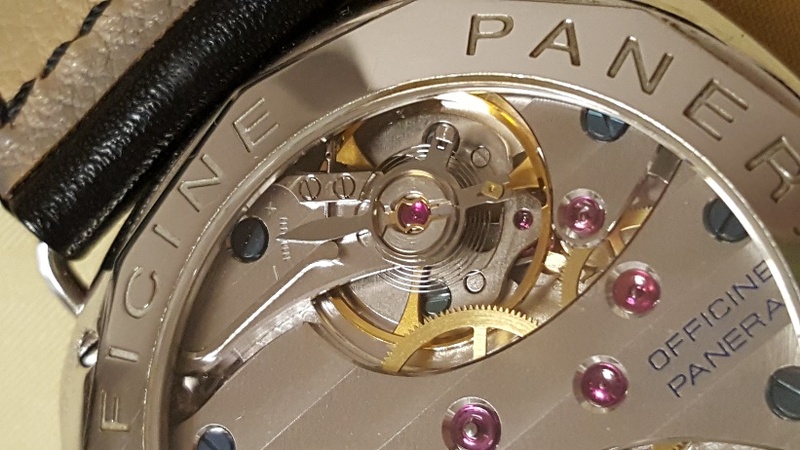 Therefore the word “replica” as used by these counterfeits' sales companies is not “Haute Horology” but an incorrect play on words. Furthermore, if we add the after sales service, warranty periods of 5 years, new intervals between servicing of 10 years – then the gap between “genuine” and “replica” (fake/counterfeit) watches gets wider and wider apart! Care to spot the “genuine” from the “replica” (counterfeit/fake)? In the above example, the “Luxury or Lie™” course would teach some 6 immediate ways, just from the dial to distinguish between this “Ultra Super Fake™” and the genuine. Or again here, with the very heavily counterfeited Panerai. Care to spot the inconsistencies now between genuine and “replica” (counterfeit/fake)? Once again the “Luxury or Lie™” course would teach some 3 immediate ways, just from the movement to distinguish between this super fake and the genuine. 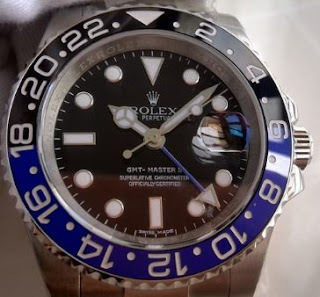 No – absolutely incorrect to term these or indeed any “counterfeit” watches as “replicas”. Versus this “genuine” can you spot the glaring error? As we can see above, the fake has spelt Moscow as “MOSCUW” – we can only wonder what attention the counterfeiters paid to the movement quality! 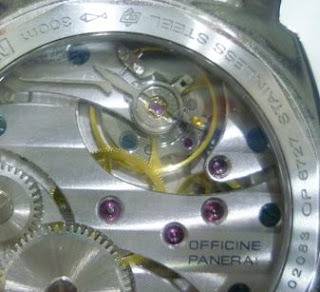 Fake watches – or so termed “replicas” are bad news to our industry, making up 7% to 8% of the world trade in watches. Some 40 million fake watches are made every year, compared to 30m genuine Swiss watches! I am seeing genuine people being “duped” out of large sums of money nearly every day – all in the name of “replica”. Adam R. Harris is the course developer and instructor of “Luxury or Lie™”, a course offered through the National Association of Watch and Clock Collectors, Columbia, PA. For details about the next course contact education@nawcc.org or register here for sessions in either Columbia, PA or Santa Paula, CA. Parachrom, Paraflex, Cerachrom are trademarks of Rolex S.A.